Here take a look at the list of power banks that are available on Paytm for less than Rs 1000 along with a cashback. Today’s deals roundup includes a bunch of power banks which are on sale at Paytm Mall. The list includes power banks from brands like Karbonn, Ambrane, Syska, Sony and more. The Ambrane power banks have received positive feedback from users on Paytm mall. According to the company, it can charge your smart device upto three times when it is at full capacity. The device comes with three USB port and one LED torch. You can purchase this device here. The Karbonn Polymer 10 comes with 10000mAh battery with 2 USB ports. It can charge devices such as headphones, speakers, smartphones etc. The device has LED indicator that lets you know about the amount of charging left in the power bank. You can purchase this device here. 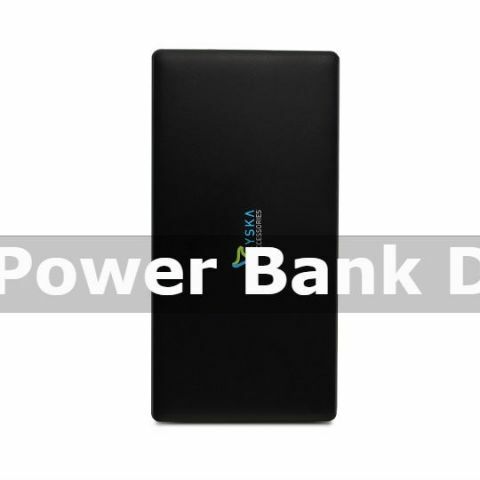 The Ambrane Power Bank P-888 is a compact device which is compatible with wide range of devices. It has one USB port and a digital display which indicates charging level. You can purchase this device here. The Lionix 10400mAh power bank comes with 4 built-in LED indicators which display battery percentage and charging status. As per the company’s claim, the power bank gets charged within five hours. You can purchase this device here. The Micromax 10400mAh power bank comes with a LED indicator that displays power level and informs the user about the charge left in the device. If you’re worried about the product safety then no need to stress, Micromax power banks are BIS certified. You can purchase this device here. The Sony 5000mAh power bank can be used for charging smartphones, cameras, Ebooks, tablets and more. As per the company’s claim, the device can charge your smartphone upto 2 times before it runs out. It comes with overcharging and short-circuit protection. You can buy this device here. The Syska 5000mAh Power Bank is protected against over-charging, over-discharging and short-circuits. It has dual USB ports which allow you to charge upto 2 devices simultaneously. As per the company, the power bank is light weight and can be carried easily. You can purchase this device here. can intex aqua power hd smart phone support otg? which headphone(on the ear) under Rs.1800?? Which has more bass- Sony MDR XB30EX or Sony MDR XB50AP?